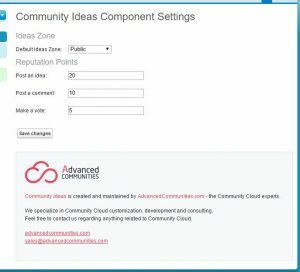 In our new Ideas Release, we added community members’ reputation support. The reputation leader board is an important part of any Salesforce community. It is a core element of gamification – a great tool to increase adoption and engagement with community members. 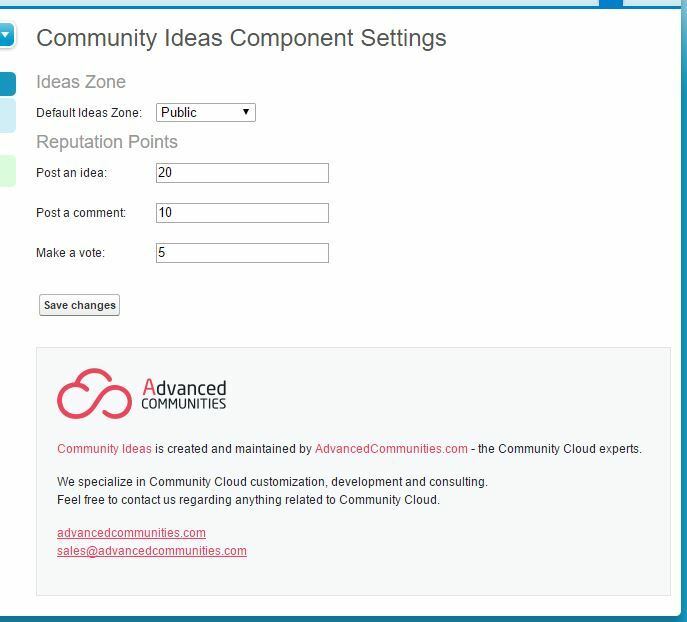 The Ideas component now supports reputation levels and recognises community members for their posts, comments and votes. – Set up reputation points per action on the Ideas Settings Page (Apex/LghtIdeasSettings). To disable this functionality, put “0” in values. 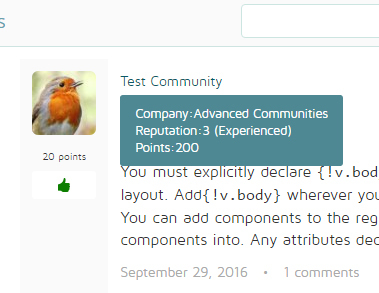 – Increase reputation points when users create an idea, leave comments, or vote on Ideas. – Display reputation level and points info when the cursor is under the user’s name.